The WM212 mount provides 12” clearance to the wall. The WM212 is hot-dip galvanized for corrosion protection. 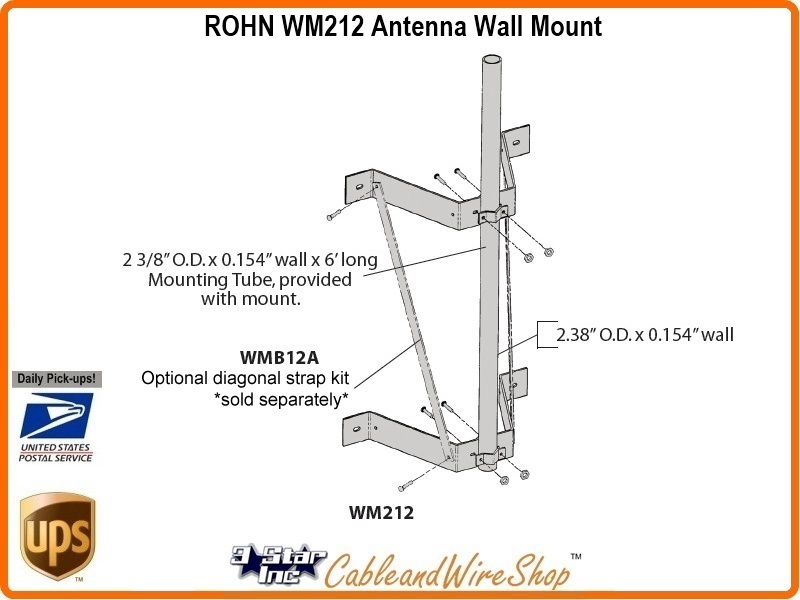 Optional WMB12A diagonal strap kit, ordered separately to provide extra strength. Mount is pre-drilled to accept 1/2” dia. connectors. Includes mounting pipe 6' by 2.38” O.D. x 0.154” wall. Wall & Eave Mount Brackets for Satellite TV Antenna Mast, Cellular Wireless Internet, Business Band and Telescopic Antenna MastsIt is Important to choose an Antenna Mount and Wall Mounting Location with a Picture of the Finished Antenna Installation in Mind. Be Sure to First select a location that lends itself to applying a Vertical, Cantilevered, Twisting Load without Compromising the Integrity of the Wall Material you affix to. Most Modern Exterior Decorative Wall Finishes most often do not have the Strength to Hold the Weight and Pressure of a Large TV Antenna under Wind Load without fail. Beams and Studs within the Wall are an Absolute Must to Locate when the Wall Composition is anything other than Solid wood or Concrete. Attach to these Strength Members. Further, Think about what's underneath the Wall exterior. Is it stronger, will it yield to Pressure over time as well? Sandwich additional Material (wood or steel) to the backside or both sides of the wall at the points where the mount attaches, as to distribute the load on relatively weak wall materials and to dampen vibration from Wind. Weather Proof the Installation to Maintain the Integrity of your Home. Next consider the Location over a Lifetime of Adjustments, does it lend itself to modifications in Height or Direction? Larger Antennas increase the surface area presented to air movement, Hence, Wind-load does increase. As the length of the mast increases from Its last attached point on the structure, the torque applied also increases with Weight and Wind-Load, requiring a more substantive attachment and Load-Bearing material. Keep the Distance Minimal from the Antenna to the TV's and Equipment you feed, as to minimize loss and the need for Amplification. 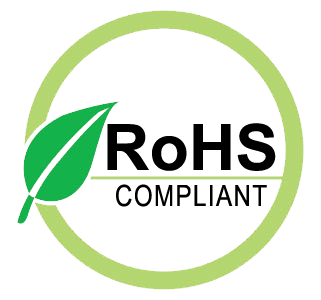 Further, the NEC (National Electrical Code partly defines a good Ground connection as being as short as possible, you must affix a connection to a good Earth Ground prior to Premise entry or Bond to an existing one.